I am trying to get round to reducing my 500 plus QC'd images that aren't tagged yet! Mainly ones which are more complicated and that I'm no expert on the subject matter and therefore need time consuming researching. I'd really appreciate some help with this leaf identification. It was taken in Scotland. 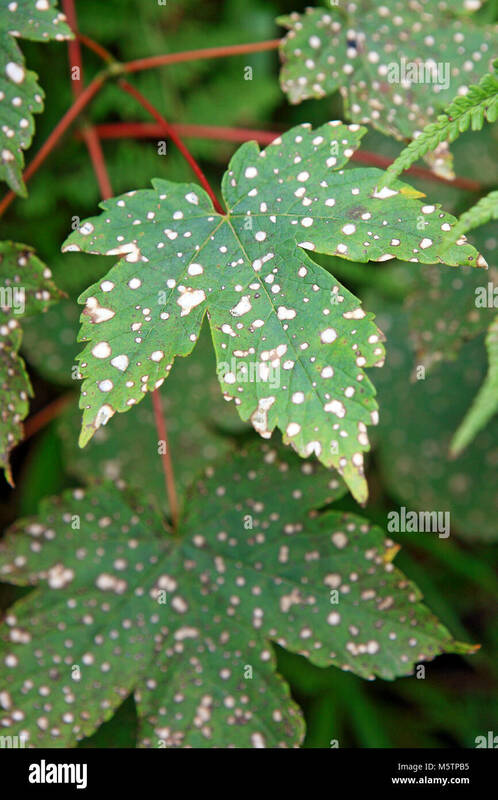 I've been researching it and it looks like Douglas Maple (Acer glabrum) leaves with Purple Bordered Leaf Spot? But I am no tree expert cant find info that it even grows in Scotland! I've read that Field Maple are the only native maples in the UK but it doesn't seem to be that. Looks more like Sycamore (Acer pseudoplantanus). Note the reddish leaf stalk. Do not know what is causing the spots though. I agree, sycamore. Think the white spots may be due to a fungal disease. Thank you both for the really quick responses. I really am rubbish at tree/plant identification! !